Georgia Tech research has determined many artists with original and remixed art prefer not publishing their work to having it stolen or taken down for possible copyright infringement. Copyright law is something that's still confusing to many, and for good reason. YouTube's Content ID policy has made publishing videos more frustrating even for content creators not violating copyright law. Research from Georgia Tech has determined confusing copyright law in online communities creates a chilling effect in creative publishing. Researchers Casey Fieseler (also known as the Barbie book remixer), Jessica L. Feuston, and Amy S. Bruckman examined eight online communities where creative appropriation is common. Using the Alexa search engine, they identified keywords for specific media types and chose online communities with active public posts and user-generated content. They then collected discussions about copyright on the eight sites with keywords relating to copyright. In general, people posting about copyright were usually expressing problems with copyright policy. Even when people said they had looked into copyright law, they were still confused what was allowed. Especially for remixes, where copyright law is gray and on a case-by-case basis, people were unable to find community policies sufficient for explaining what was allowed. The researchers note this was prevalent on YouTube thanks to the Content ID system, YouTube's automated content matching service for tracking down uses of others' work. With all of this confusion over copyright and sites' specific policies, content creators expressed fear over their work being removed due to policy violation, their work being copied and distributed without their permission, being shamed by the community for violating a rule or norm, or deciding not to share their work at all. Fieseler, Feuston, and Bruckman determined this chilling effect was present; in their data, many people had said they chose not to share their work. The intention of copyright law has always been to promote creativity, but it can have the opposite effect of making content creators feel their work is not safe or legal. Congress hasn't made a substantial update to copyright law since the 1998 Digital Millennium Copyright Act, though it has some more minor enactments to the law. Many fan artists and video creators will cite fair use as their protection for transformative works, yet sites like YouTube and DeviantArt present fair use as a limited, complex situation where content creators should seek a lawyer. 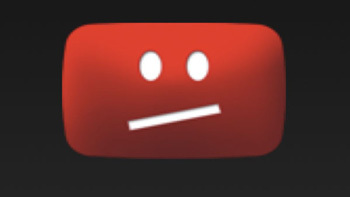 YouTube's Copyright School says, "You could get in a lot of trouble. That's how the law works." When artists and creators feel unsupported by a community's policies or are afraid, they decide it's easier not to share their work. The researchers concluded online communities could provide copyright policies in simpler terminology that would not confuse content creators who are not well versed in the legal terms. People representing the site could also answer questions about copyright. In addition, they suggested sites prompt users to acknowledge if the work is their own or found elsewhere upon uploading. YouTube recently updated its Content ID so that content creators using copyrighted music will see what will happen to their video as they upload it instead of finding out afterward. While it doesn't solve the false positives Content ID will find, it does give creators a heads-up on how it identified the work. When copyright law, which is supposed to protect and encourage artists, starts to hinder creative work, it's time for the law to be revisited and reexamined entirely. Fieseler, Feuston, and Bruckman's research, "Understanding Copyright Law in Online Creative Communities" is available to read online and will be presented at the ACM Conference on Computer-Supported Cooperative Work and Social Computing in March 2015. Source: "Understanding Copyright Law in Online Creative Communities"